Home » Service Manual Catalog » EPSON Adjustment Programs » InkJet printers » AP_ME340 I have paid for Reset Key but not received yet. 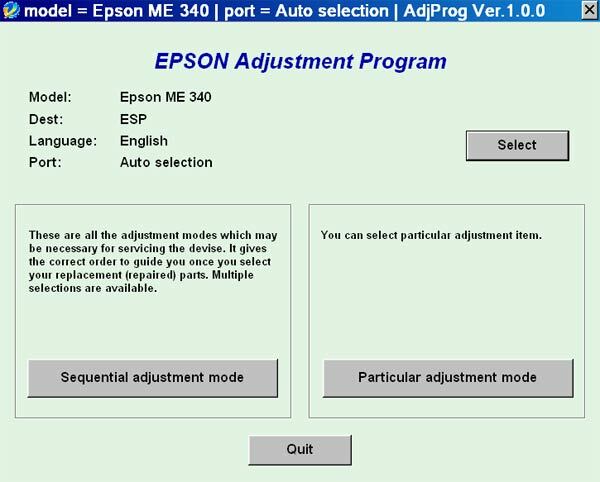 The Epson Adjustment Program for Epson ME340 can be used under Windows only (Millenium, 2000, XP, Vista [in compatibility mode]). We recommend reading the Epson ME340 Service Manual before using the adjustment utility. I purchased the epson adjustment program last night and got to work on it today. I had a clog in C and it would not clear. I ve had my 4900 for over 2 years and have been able to handle them until now. 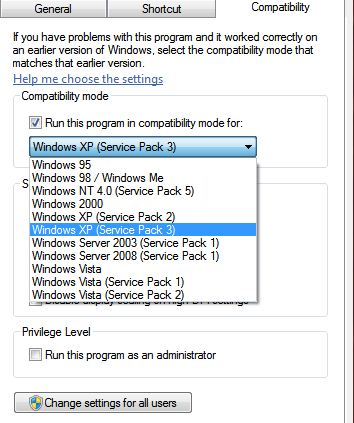 I learned about this site from another site that has cleaner for the 4900 and said I need to buy this software first. I bought it and tried it with the epson ink that was in my printer. I ran the adjustment and it cleared C but then there were other clogs. Because they werent clogged before I started, I cleared them the normal way through the printers options. Had they not cleared, I would have ran the adjustment again. I had tried everything to get C to clear for a week and this program did it in one try! I would highly recommend this for clearing a stubborn clog. And now it is in my arsenal if I get another one that I cant clear down the road. By the way, it does not work if your printer is networked. Mine was so I had to move a computer into the room with my printer, directly connect to it and install the drivers. Then it work fine. If you got a clog that you cant fix, just buy it. Hi, This is the second time I have reset my waste ink counter in about 18 months. Disappointed that the key I ordered (OS X Mac version) came to me as an exe. Luckily I had anticipated this and had a PC at the ready. That of course worked like a charm. Thanks anyway.